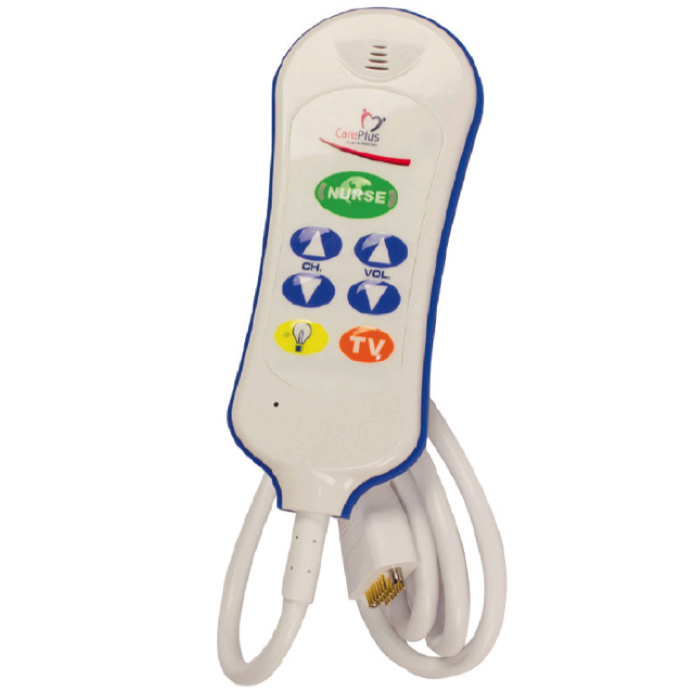 Easy-to-use patient Entertainment Handset is designed to meet the specific requirements of patients and staff. Providing significant improvements over the existing handsets with durability and improved features. Including a speaker for listening to TV/radio and a convenient group of controls for reading light, TV channel and volume selection. The Nurse Call button has Braille identification and two reassurance lights.